New Delhi: The Food Safety and Standards Authority of India is working on a code that aims to stop false and misleading advertisements on food and beverages, a top official said. The authority circulated a draft code on Tuesday to various stakeholders including the industry and civil society organizations and will soon invite public comments on it by putting it up on its website. India does not have a legal framework regulating advertising standards in the country. The Advertising Standards Council of India, a voluntary industry organization, only has a self-regulation code in place for advertisers. “To make the code effective, there should be a legal framework," said Bijon Mishra, a consumer affairs expert who is also a member at the safety and standards authority. “Consumers do not have the resources and power to fight against big multinationals. So anybody breaching the code should be penalized." The food and beverages industry, on the other hand, has reservations on mandatory rules. “It (the code) should not be made legally binding," said R.S. 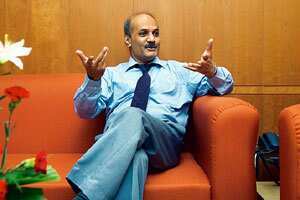 Sodhi, chief general manager of Gujarat Cooperative Milk Marketing Federation, which owns the Amul brand. The draft code is detailed and has been prepared after studying similar guidelines and food Acts outside of India, Suvrathan said. The authority examined codes laid down by agencies such as the International Chamber of Commerce, the Australian Association of National Advertisers and the Advertising Standards Authority of New Zealand. It also examined the European Union Food Law, the UK Food Code and the Federal Trade Commission Act of the US. The Indian draft code has been set in the specific context of the country, Suvrathan said. The draft rules say that advertising and communication in the food and beverages sector should not be misleading or deceptive. It discourages the portrayal of products as substitutes for meals, and endorsements by government agencies, professional bodies, independent agencies or individuals in a particular profession without their prior consent. The food standards agency, an arm of the ministry of health and family welfare, was established under Food Safety and Standards Act, 2006, to lay down standards for food articles and regulate their manufacture, storage, distribution, sale and import. The 2006 Act under which the authority was constituted prescribes penalties up to Rs10 lakh for publishing misleading advertisements and selling misbranded food. However, it is yet to be implemented. The new draft does not mention punitive action against those who breach the code. Besides the new code, the agency is also working on rolling out regulation for the labelling of food products and nutrition and health-related claims made by firms.